Enrique Santana, DC is the Senior Clinician at the RPV Clinic and has over 10 years of experience in his field. He is an active member of the American Chiropractic Association, as well as the California Chiropractic Association, having taken political action to extend Chiropractic Care to our Veterans and active duty personnel in US Military bases at home and abroad. He completed his studies at Cleveland Chiropractic College Los Angeles (CCCLA), receiving a Bachelor’s of Science degree in Human Biology and a Doctorate in Chiropractic. His post-graduate studies include an Advanced Certificate from the Spine Research Institute of San Diego (SRISD) in Coronado, CA. His research primarily focused on the etiology and case management of Whiplash and Brain Injury Traumatology. Dr. Santana’s extensive training and research focus on the diagnosis, treatment and prevention of neuromuscular skeletal disorders such as headaches, arthritis, stenosis, herniated/slipped discs, nerve pain, sciatica, sprain/strains, sports injuries, slip/falls and auto injuries. He is also skilled in safely providing pain relieving Chiropractic Adjustments to expecting mothers and helping them stay pain free throughout their pregnancy. 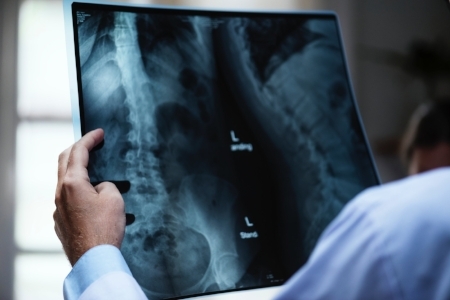 Dr. Santana’s focus and mission is to address the root causes of neurological, muscular and/or skeletal issues involving the skeleton and nervous system. Chiropractic addresses these issues by restoring proper movement to the joints and optimal nerve flow to the body, allowing the body’s innate intelligence to heal itself, similar to how the body heals itself of cuts, bruises and disease. Dr. Santana has served as team doctor for local high school sports teams. At The RPV Clinic, his practice serves a wide array of physically active professionals who are aware of the performance enhancing benefits of Chiropractic, including nurses, office staff, salon workers, MMA fighters, construction workers, tradesmen, union workers, and Law Enforcement personnel. His goal is to exceed the expectations of his patients, providing an alternative to drugs and surgery. Setting an example for his patients, Dr. Santana believes in clean eating and an active lifestyle as a means to living a happy and healthy life. His nutritional advice is always “If it has a wrapper or commercial, don’t eat it!” He enjoys swimming, snowboarding, hiking with his dogs, and camping. He has also been an active church musician, volunteering to support youth and adult community groups, weekly masses, and juvenile detention centers. Mehrdad Hassid, MD graduated with honors from UCLA in 1989, earning his bachelor’s degree in Biology. He attended medical school at UC-Davis in northern California and graduated in 1993. He then continued his medical training in General Surgery at UC-Davis medical center and later at Los Angeles County, USC medical center. He currently acts as our Medical director and, among other duties, oversees our Physical Therapy, pain management, and medical weight loss programs.